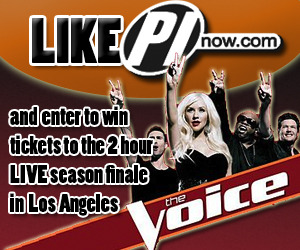 PInow.com is giving away two free tickets to the 2 hour live Season Finale of The Voice. 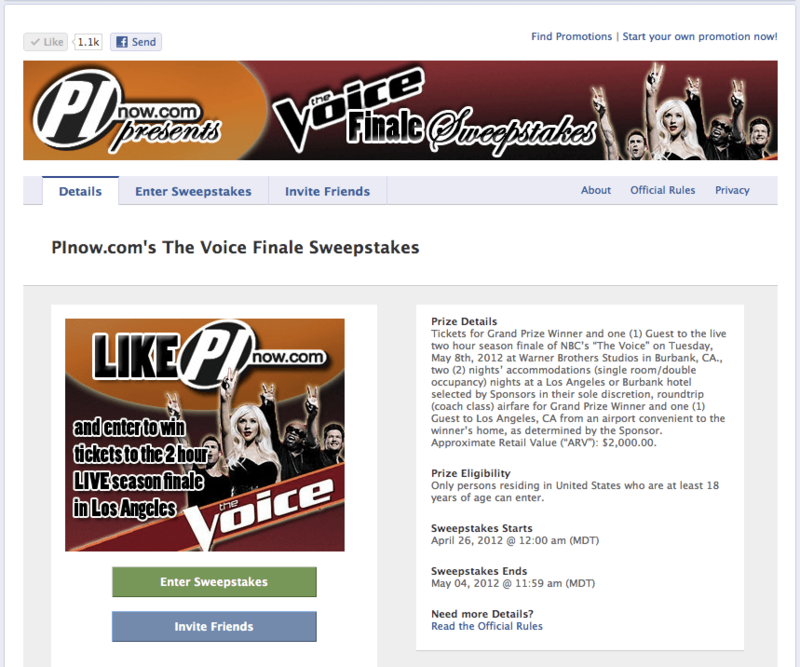 To enter for the tickets, which include airfare and two nights' stay at a Los Angeles hotel, visit the Official PInow.com Facebook Fanpage. Be sure to like the page in order to enter for the contest. The Voice, a singing sensation reality show, features blind auditions from singers from across the country. The show's four judges, Adam Levine of Maroon 5, Christina Aguilera, Blake Shelton, and Cee Lo Green, selected contestants for a battle rond and proceed to the final. In the two hour finale special, each coach will send their best singer to the stage to perform for the chance to be named the winner. Tickets for Grand Prize Winner and one (1) Guest to the live two hour season finale of NBC’s “The Voice” on Tuesday, May 8th, 2012 at Warner Brothers Studios in Burbank, CA., two (2) nights’ accommodations (single room/double occupancy) nights at a Los Angeles or Burbank hotel selected by Sponsors in their sole discretion, roundtrip (coach class) airfare for Grand Prize Winner and one (1) Guest to Los Angeles, CA from an airport convenient to the winner’s home, as determined by the Sponsor. Approximate Retail Value (“ARV”): $2,000.00.